What's the difference between self-ish and SELFISH? Is there a difference between self-ish and SELFISH? Read that aloud, and you'll have your answer. Although there's a negative connotation with the word, it isn't necessarily so. Being SELFISH is grabbing out of desperation and depletion; making choices that benefit ourselves at the expense of others. It's careless. Being self-ish is taking care of myself first, acknowledging limited resources, and knowing that what I prioritize becomes my life. When we consistently put others ahead of ourselves, we send a message that our own needs are less important. This happens more often than you might realize. Have you ever given someone the last juicy orange you really wanted only to discover that they would've rather had the apple took as your second choice? If you're feeling resentful, get curious—you may be expecting someone else to treat you better than you're treating yourself. It’s not a personal flaw or deficiency in you that makes you put others first. It’s what the culture teaches and expects us to do from a very early age (especially girls). If I'm putting someone else's needs ahead of mine to a point that I'm becoming depleted, something is out of balance. Naturally, there are times when that's called for; just watch that it doesn't become a regular practice. Even though we sometimes wish they weren't, time and energy are limited. When we spend them doing one thing, we have less for something else. It's just physics. How do we get out of this mess, and why is it more important now than ever? 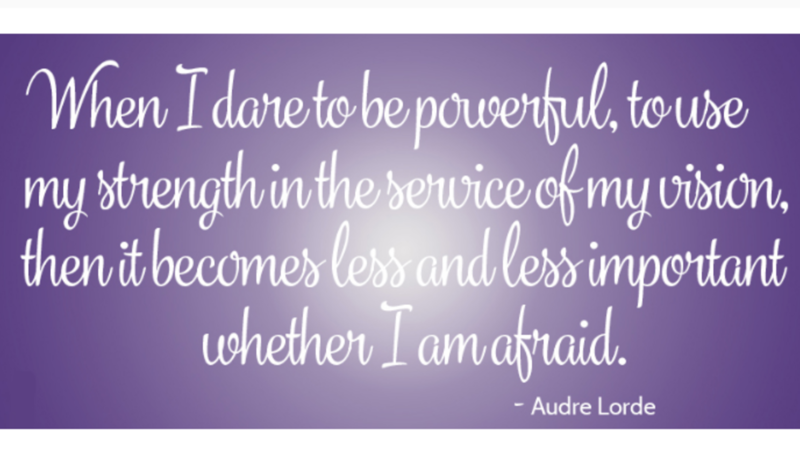 When you tend to yourself, you reclaim your power rather than burdening someone else to take care of you. And then, when someone does do something for you, or you do something for another, it comes from a place of fulfillment that won't later end up in resentment. This is a true gift of generosity. Trust me, everyone will be happier. Dismantling the old message and integrating the new may take time. Some of these new ideas may seem confusing and disorienting. That's okay. Come from a place of love and be gentle with yourself. The antidote to depletion is repletion and we get there by standing in our power and being self-ish. Now is the time to be courageous. Speak up—kindly, of course. The world needs your strength now more than ever.